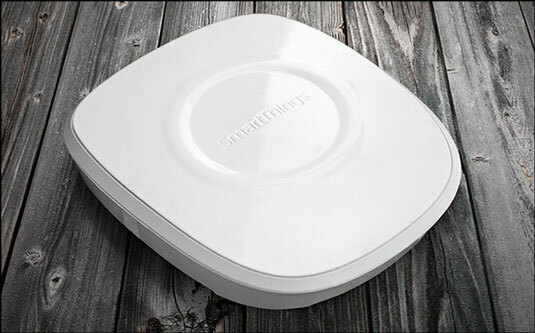 SmartThings is a company with an eye on home automation. Not to say that others aren’t on top of the home automation game, too, but SmartThings has been a company on the move for a few years now, and it continues to grow in popularity. Its home automation philosophy revolves around the SmartThings Hub, which is the control center for devices that are compatible with the SmartThings universe. The Hub is, of course, interacted with by use of a really great app. The SmartThings app may be one of the best home automation apps out there. The interface alone is just beautiful to look at, but its functionality is also second to none. However, it isn’t just the hub and the app that make SmartThings, well, smart; it’s the number of vendors who work with them to supply cutting-edge home automation products for you. 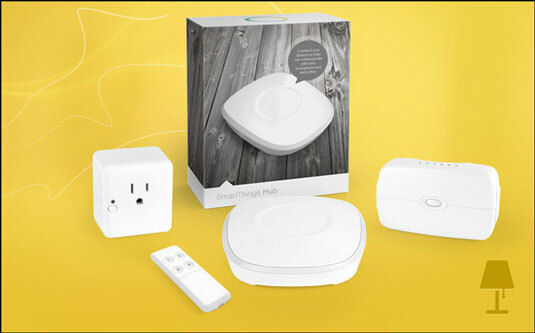 SmartThings offers stand-alone products and offers starter kits that cater to how you might want to kick-start your home automation habit. There are kits for water leak detection, security, and energy saving. The lighting automation kit is shown in the following figure. SmartThings Hub: Control all the SmartThings-compatible devices you’re sure to invest in once you get your feet wet (not literally, of course — water and electricity don’t mix!). SmartPower Outlet: You can plug your lights (or any other electrical device, for that matter) into it. You can then control the outlet itself, turning your lights on and off with it, and even get alerts if you’ve left the lights on. And of course you can use the SmartThings app to turn them off. Jasco Pluggable Light Dimmer Outlet: This outlet plugs into a standard wall outlet, giving you one additional outlet along with a Z-Wave AC outlet that you can control through your SmartThings hub and app. This baby works as advertised, allowing you to control and even dim your connected lights. Aeon Labs Minimote: This is essentially a remote control for your SmartThings-compatible devices. You can control lighting with this remote instead of having to use your smartphone or tablet, which is convenient if you’re charging your device or just don’t want to have to go through a myriad of swipes and taps to turn your lights on or off. You can download and take the SmartThings Mobile app for a trial spin if you want to just see how it works. It’s both functional and beautiful, and giving it a test run is free, so why not?